Our friends are getting married this summer so I thought I would make a card for this special occasion. I had this wonderful stamp from Stamping Bella. The white cardstock is embossed with an embossing folder and the dress was embossed with opalescent embossing powder. I also added Stickles for more sparkle. 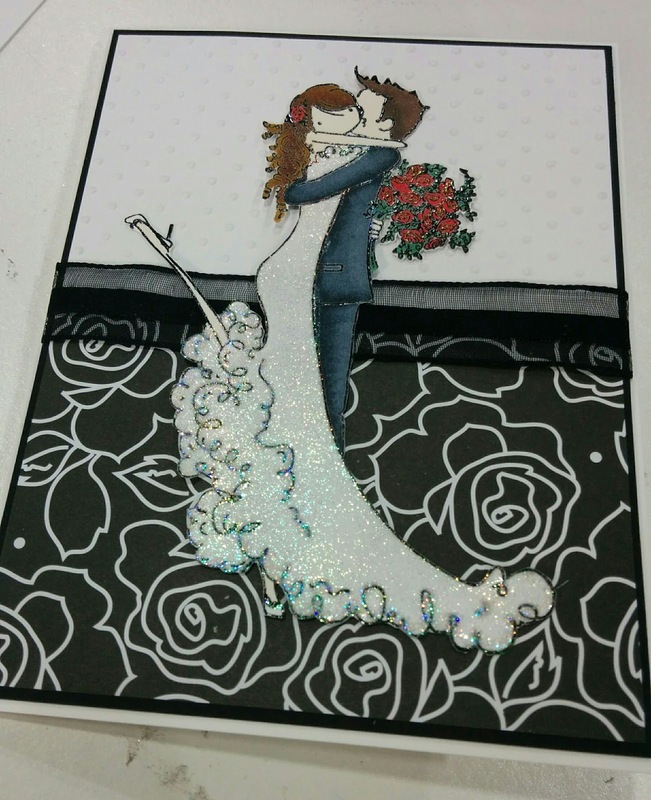 The couple was colored with Spectrum Noir markers. Her glitzy gown is wonderful, and the large floral background works beautifully with everything else! Great design, thanks for sharing it with us at the Simon Says Stamp Wednesday challenge!